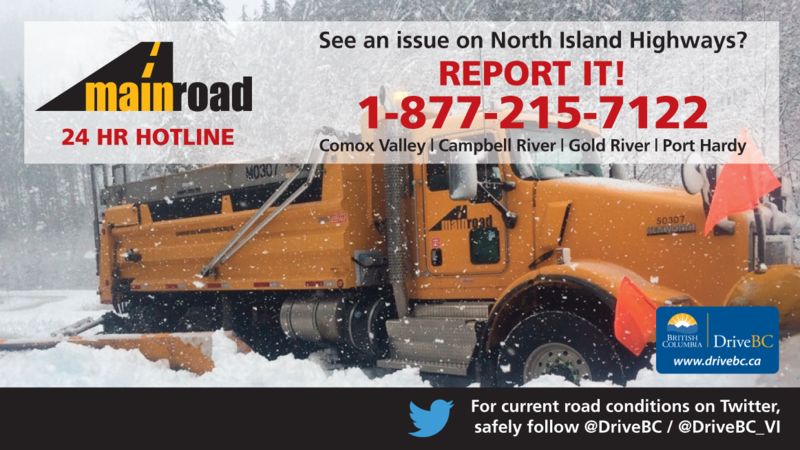 VANCOUVER ISLAND, B.C- Road crews are getting ready to deal with snow today. According to an advisory from Mainroad North Island, the highway contractor for northern Vancouver Island, a “weather event” is anticipated to impact the region later this afternoon. In anticipation, crews will be out doing snow removal on all service area highways until the weather passes, roads are clear and everything is back to normal. If residents have any concerns or observations, they can reach the company’s 24-hour dispatch office at 1-877-215-7122.